We are planning to hold a Wedding Exhibition & Fayre; this exciting event will include local exhibitors advertising wedding goods and services, and will be a great opportunity to look around the church and consider the wedding options offered by All Saints’, so a definite diary date for all those couples planning to tie the knot, or maybe you’d like to renew your vows or have your marriage blessed? 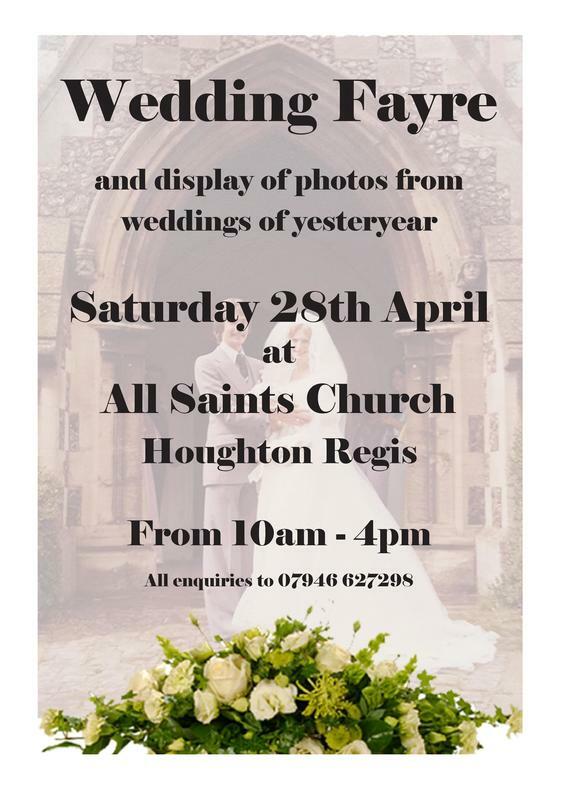 We are also hoping to produce a display of photographs of past weddings at All Saints’, so if you, or a member of your family, were married in our lovely parish church, please, please let us have a copy of your wedding photos so that we can share your happy memories with the community. Photos can be emailed to allsaintshr@btconnect.com or, if you don’t have that facility please call Suzy Denver on 07946 627298 and we’ll arrange to collect your pictures (if you’re local), we’ll take a copy and return the originals to you. Or, of course, you can drop them off at the church itself. Enquiries regarding stalls, etc. please contact: Richard Stock, tel. 07528 129115.